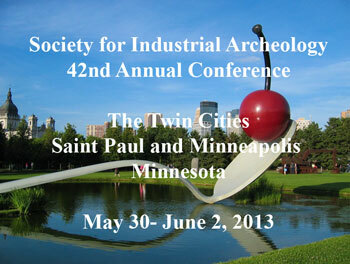 The Society for Industrial Archeology Conference schedule is now available online. The Conference is to take place May 30 through June 2, 2013 at the St. Paul Hotel in downtown St. Paul, Minnesota. The event includes a day of formal papers (Saturday, June 1) and a number of tours to industrial heritage sites spread over several days (Thursday, May 30, Friday May 31, and Sunday, June 2). Online, onsite, and mail in registration is available.